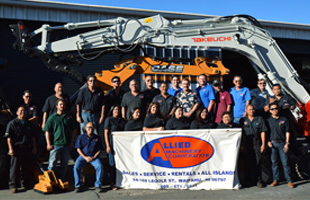 We are Hawai’i’s largest locally owned and operated heavy equipment dealership, and we have been dedicated to excellence in all that we do since ‘78. With over 60 employees, many who have been with us for 10, 20, and 30+ years, we had many opportunities to learn grow with each other. This opportunity has helped Allied Machinery develop long and lasting relationships that are invaluable to our philosophy. We extend this value to our customers, the industry, and the islands. This is why you can trust us to be your partners, because we are a kama’aina company that values the way of ohana. We proudly offer professional services in Sales, Rentals, Service, Parts, and Metals. Each department are staffed with trained professionals who are ready to help you. All services are offered at all of our branches, with the exception of the metals department which are operating only in our O’ahu and Hilo branches. 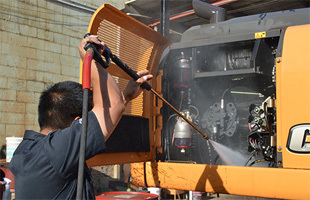 We have been providing these services since our establishment in 1970’s and we have many experiences. Contact us for any questions! With over 30 brands of equipment, we are sure you can find what you’re looking for! We know that when you buy an equipment, you are not just buying the product, you are buying the service and support behind them. This is why we proudly stand by our brands. They offer cutting edge technology, support, service, and even warranty. Our expert representatives will be with you every step of the way. Contact us or view our brand page for more details! We are Hawai’i’s largest Kama’aina firm who has been helping to make Hawai’i a better place for over 35 years. We pride ourselves on making sure that customers receive the highest level of satisfaction which helps us to build the relationships that we have. With 5 convenient locations state wide, we are proud to have the ability to serve you on Oahu, Maui, Kauai and the Big Island! 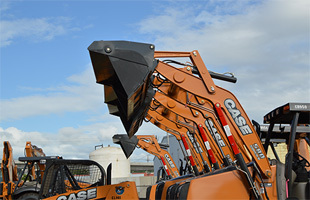 We have a large variety of different machine types and brands, both used and new! We’re sure we have what you need and if we don’t have something for you in stock then we can always find what you need for you! We offer some of the best warranties backed by the best companies in the industry which is why we are so proud to represent these brands! Along with warranties and service we also have equipment maintenance and protection plans! Call us today for more details! We stock common parts in all branches and have the capability to bring in any part that you may need! Call us or submit a parts request form.